Just like there are no guarantees in life, there are no guarantees you’ll be able to find all of the beers that were served at the annual Big Beers, Belgians and Barleywines Festival in Breckenridge. While a few of the beers were one-offs, others are so popular that they disappear from taprooms as quickly as spring snow. But that’s no reason to give up trying to find the cream of the 2019 crop. 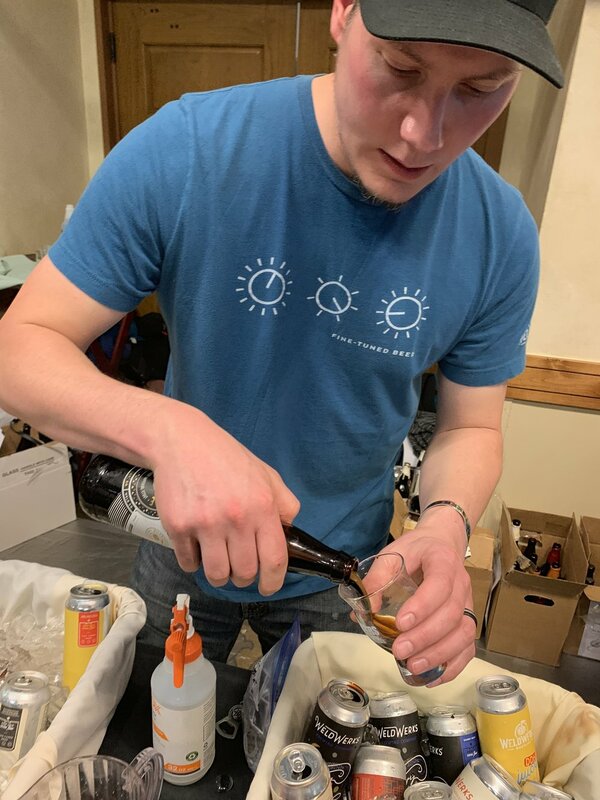 A few variations on flagship brews were featured at the festival, but the majority of pours at the Beaver Run Resort & Conference Center were deeper dives into the sour and barrel-aged worlds. Dubbed a “brewers’ favorite,” the festival prompted the production of high-gravity, complex and sometimes outlandish beers. If you like the tastes of wine, blueberries, black currant, maple syrup or cinnamon (and who doesn’t? ), Big Beers was the place to be Saturday, Jan. 12. The entire weekend in the small ski town was filled with beer culture, seminars and camaraderie among brewers and enthusiasts. Industry experts hosted food and beer pairings. Dozens competed in a home-brew competition and a Certified Cicerone exam was offered. Numerous tap takeovers kept local pubs hopping. Until next January when the 2020 Big Beers gathering is held, seek out some of this year’s superstars. The following beers and breweries caught the attention of many festival-goers. Black Project Spontaneous & Wild Ales always draws a crowd and last Saturday was no exception. The Stargate Wild Ale - made with Colorado peaches and aged in a whiskey barrel – was wildly popular. The smooth drinker was 7.5-percent ABV. Wiley Roots Brewing Co.’s Peaches & Cream County Fair Cobbler Flambe Imperial IPA was popular with those looking for a fruit forward sour IPA, registering at 9-percent ABV. The Greeley brewery also collaborated with Good Bugs to produce a “sake inspired mixed culture brett” beer that was popular with the brewing crowd. Liberati Osteria & Oenobeers in Denver generated interest with its beer-wine hybrids, particularly the Oximonstrum. Made with grapes from Piemonte, Italy, and weighing in at 14-percent ABV, the flavor of port wine took over most palates that were used to experiencing sours and barrel-aged behemoths. Elevation Beer Co. brought a variety of beers to the tasting. As one of Colorado’s early big beer producers, the Poncha Springs brewery poured a Red Wine Apis IV Quad (10-percent ABV), as well as the lower ABV Acide Saison, 4.5 percent. Bruz Beers’ Hellraiser was popular, but the cork-popping for the 10.2-percent ABV King Quad generated considerable interest. Avery Brewing Co. has barreled up some of the biggest beers in Colorado for 25 years. The Boulder brewer brought a Raspberry Truffale Impeial Stout that boasted 14.5 percent. However, it’s half-as-boozy Brut IPA was also poured for those who still hadn’t tried the dry, bubbly beer. WeldWerks Brewing Co., which always generates interest with its creative choices, rallied attendees with its Medianoche series that included the Peanut Butter Cup (13.1-percent ABV), as well as two imperial stouts. Paradox Beer Co.’s Maple Manhattan Sour Ale got the attention of folks looking for a beer built with a cocktail in mind. The barrel-aged brew (8.2-percent ABV) featured vanilla, maple syrup and maraschino cherries. The Burns Family Artisan Ales featured a great lineup, including a barleywine, Auld Lang Syne (16.5-percent ABV), and the Bueche de Noel Imperial Stout that pushed above 15 percent ABV. Casey Brewing & Blending teamed up with Side Project to produce the Jammy Sour, an 8-percent ABV ale aged in oak barrels with blackberries. Cerebral Brewing brought a nice selection of stouts and wild ales. The Ancient Ruins-Rocky Road Imperial Stout created a buzz. With marshmallow, cacao nibs, almond and lactose, the brew topped out at 11.4 percent ABV.